Most companies are still struggling to contain data—and therefore storage—growth. But today, many of them are trying to deal with the capacity challenge and improve performance at the same time. 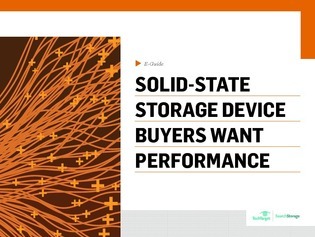 Though the easiest and least expensive way to ratchet up performance is to add a solid-state storage device, enterprises still question the ROI delivered when installed for specific apps. Why are you considering flash? Read this expert guide to flesh out flash implementation, and discover why I/O performance lags, capacity concerns, and server virtualization are fueling SSD appliance adoption. Additionally, learn the top 3 apps storage admins indicate are in most need of flash.